AIDS (Acquired Immunodeficiency Syndrome). The terminal stages of HIV (Human Immuno-deficiency Virus) infection. AIDS first hit Africa and the North American gay population. It has now attacking young female North American teens and people in Asia. It will eventually kill hundreds of millions of people, far more than WWII (World War II). I lost most of my friends to AIDS, partly because President Reagan and Premier William Vander Zalm of BC deliberately hid the dangers of HIV from the public in a successful attempt to kill off the gay population. Nearly all my friends were killed after being infected prior to 1985. Conservatives had a bumper sticker AIDS is killing all the right people, namely gays, Africans and IV drug users. The conservatives were happy to see gays dying, so not only they refused to help, they actively worked to spread the contagion. Then AIDS entered the blood supply and started hitting anyone who had a blood transfusion. 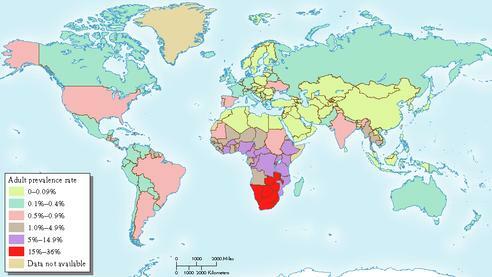 Today AIDS has spread all over the world, though it still hits Africa hardest. The Origin of Acronym AIDS To this day, live chimpanzees parts ground up are used in creating vaccines even though we have the technology to create them without contamination or animal cruelty with recombinant DNA (Deoxyribonucleic Acid). AIDS is a relative of SIV, a virus of chimpanzees and green monkeys. According to this book, it was originally spread to humans by Dr. Hilary Koprowski, who was competing with Sabin to create an oral vaccine. He harvested kidneys from living monkeys (without killing them first) as a medium to grow the polio virus for his vaccines. His vaccines were contaminated with SIV. He then tested them on a million people in the Congo. Koprowski says he used no chimpanzees, though I have seen photos and videos of them being used in his lab and his various coworkers testifying they did use them in the video. Evidence to convict Dr. Hilary Koprowski as the greater mass murderer in history by inadvertently seeding HIV in the human population with this experiments to create an improved polio virus. What is worse it is Koprowski lies his face off about his misdeeds and intimidates other scientists into silence. You can tell what a liar he is since he tries to deceive you into thinking he created the Sabin vaccine, when his vaccine was not chosen because it was less stable than Sabin’s. Using a technique called called SSCD (Site Stripping Clock Detection) Dr. Annemie VanDamme believes HIV first appeared in the 1930s. Her work has appeared in a peer reviewed publication. 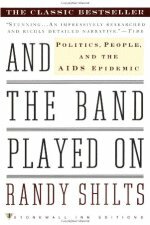 How the Reagan administration deliberately dragged its feet putting out a warning about AIDS. Surgeon General Koop eventually rebelled and put out a warning in 1988, long after tens of thousands of gay people were already infected.